Reclaim your natural, healthy smile with our contemporary metal-free implants. 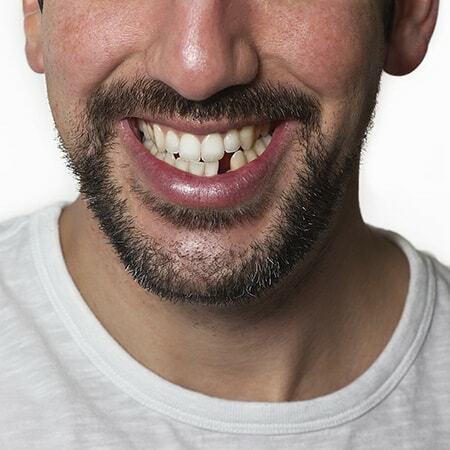 The preferred option for replacing missing teeth just got better. 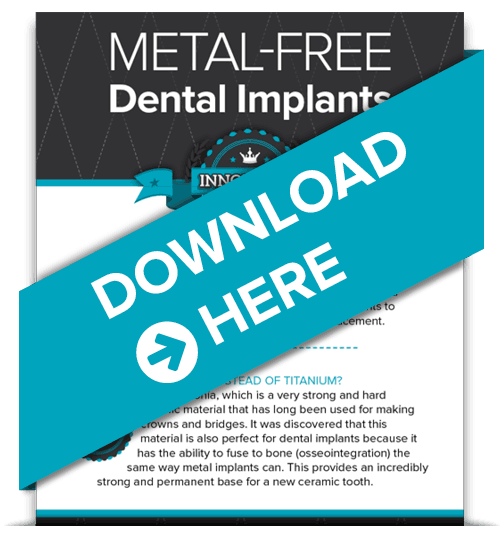 Download our FREE infographic on metal-free dental implants! We want you to have the most information possible so you can make the best decision for your health. Download our free infographic to learn more about why your dentist in Redmond, WA have stopped using titanium implants and how our metal-free implants provide a better experience and increase the benefits to your holistic health. Metal-Free Dental Implants from SPX Productions on Vimeo. The game changer for dental implant patients. Smiles by Design is a pioneer in Redmond dentistry and is an advocate for metal-free dentistry, so it should be no surprise that we are taking an innovative approach to dental implants. Our holistic dental office uses CeraRoot – a metal-free alternative to titanium implants to solve the common problem of tooth replacement. Why are we using this new technology? Metal-free implants are easy to keep clean and thus promote healthier gums. The implant is made of zirconia (ceramic), which is bio-compatible so integration between the implant and bone is strong, resulting in less inflammation. Dr. Keller is the only dentist in Washington state to provide this type of approach to implant dentistry. However, we are always happy to listen to our patients. If you would prefer titanium implants, we can fit those too. Our metal-free implants are virtually painless and restore your healthy smile. Anyone who is missing one or multiple teeth and would like to replace them with strong, natural-looking, and fully functional implants. Our dental experts secure a CeraRoot cylinder to your gums and add a beautiful porcelain crown to the cylinder, giving the appearance of a natural, beautiful tooth. To reduce pain, we use stem-cells in the overall regeneration of the bone augmentation procedure so the surrounding environment is capable of bone regeneration. Seeing Dr. Keller was probably the best thing we have ever done. Invented by Dr. Keller for YOU! Dr. Shawn Keller, the inventor of the Same-Day New Smile™ has been learning different techniques from top dentists around the globe for the last 15 years. Over this period of time, Dr. Keller has improved these techniques and combined some to invent the Same-Day New Smile™. Using a 3D guided surgical placement of the implant, Dr. Keller and his team get the implant in the strongest and safest position using stem cell therapy. This achieves greater initial stability and gets impressions to fabricate your new smile on the same day. Once Dr. Keller is absolutely positive that his patients are in love with their new smile and the way it makes them feel and look, we will duplicate the provisional smile in beautiful ceramic zirconia. A smile that will last a lifetime. Our patients will have a provisional version of their new smile on the same day. Patients will not go a day without a beautiful smile.